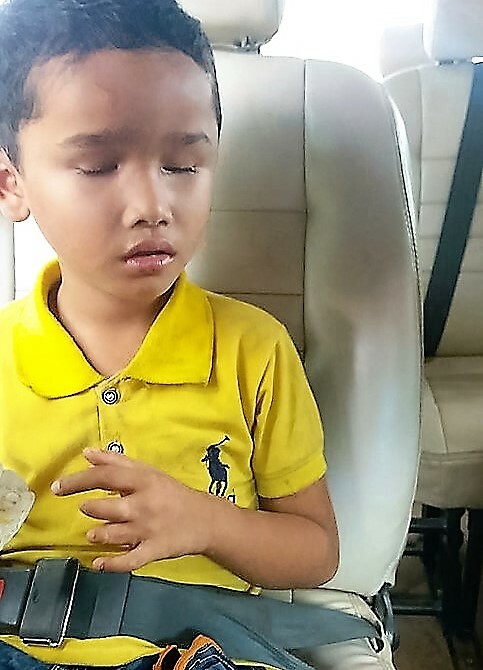 Sambart Noa is a 5yo boy and was born blind on 10/07/2009, we have placed him in Krousar Thmey a school for the blind. His sponsorship costs are more than the others as he boards in at the school from Monday to Friday. There are fees and transport costs to get him to and from school weekends, a long way. In order to cover these costs Sambart has more than one sponsor. On 1/11/2016 the first day of school this year Vanny took him in the Minibus as there were forms and fees to pay. Sambart now 7yo has commenced his third year and doing very well at Krousar Thmey, School. His Year starts on 1st November and finishes 30th September. During the year Sambart has been ill several times requiring visits to the Doctor. He was a little naughty first year but has settled down now, he is very good now at school and at home on weekends. 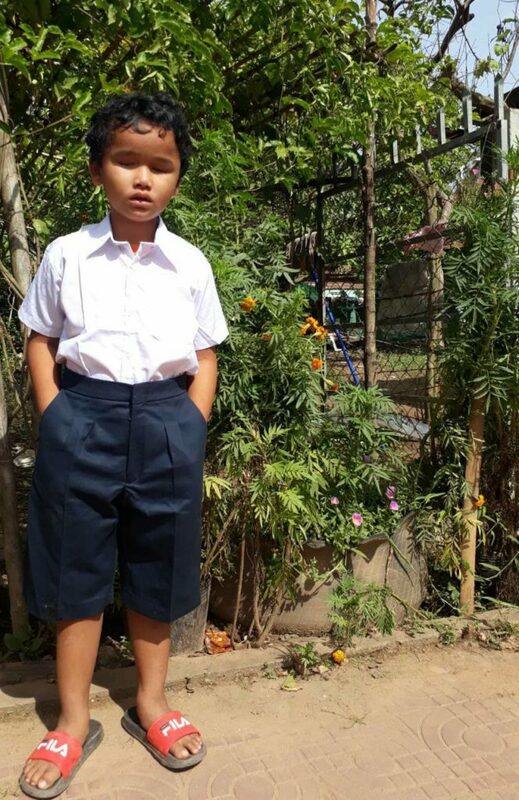 Sambath got a new set of school uniform .